The latest release from Lonya’s Asymmetric Recordings welcomes Jorgio Kioris to the label for his debut EP. The Greek artist and Bloque Festival owner / founder is fresh off an incredible 2016 highlighted by a collaborative project with Dousk as well as solo releases on Soundteller Records and Superordinate Music. 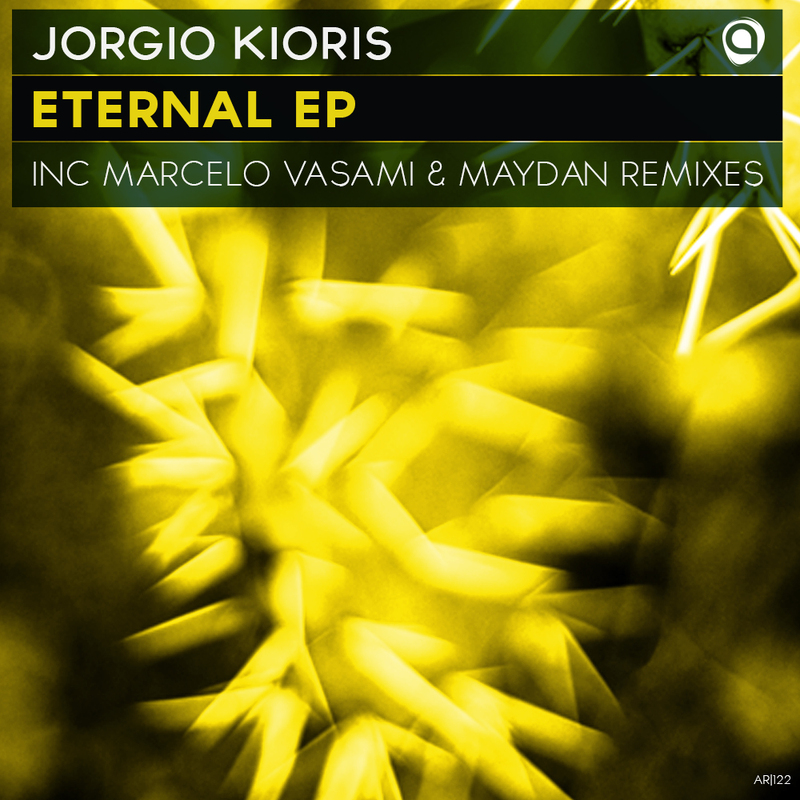 Now making his much anticipated Asymmetric debut Jorgio presents his ‘Eternal’ EP alongside remixes from Marcelo Vasami and Maydan. Since his production debut in 2013 Jorgio has carved out his own unique sound. Drawing on influences from fellow countryman Dousk and Simos Tagias the Greek artist has a groovy, textural sound which has resonated deep in the progressive house underground. The lead and also title piece here ‘Eternal’ is a prime example of that with its distinctive percussion and chugging groove. A strong rhythmic core combined with astral designs and spaced out effects converge for a trippy yet very accessible journey. It’s mystical charm makes it ideal for today’s progressive landscape and a 6 minute timeline keeps it firmly locked on the dance floor. The lone interpretation of ‘Eternal’ is provided Maydan who is making his seventh appearance on the label. The Israeli artist and Asymmetric A&R has a short but meticulous discography highlighted by releases on Hernan Cattaneo’s Sudbeat Music and Movement Recordings. Long noted for his deep, timeless take on house music Maydan brings that unique vision here with a beautifully crafted remix. It’s breakbeat style percussion is quite unique and a deeper more spacious framework lets the sweeping effects and gentle motifs breathe wonderfully. A tasteful break brings otherworldly vibes and it’s smooth re-entry sets up the groovy finale perfectly. Lovely remix from Maydan. The companion piece here ‘Rest In Heaven’ is immediately captivating with its pulsating foundation, strong percussion and airy atmospheres. Quite mystical in design, it’s a track with no distinct themes rather an evolving, spacey narrative which enlightens the mind every step of the way. Beautiful stuff from Jorgio. The lone interpretation of ‘Rest In Heaven’ is provided by Marcelo Vasami who is also making his first appearance on Asymmetric Recordings. A long-time veteran of both the Argentinean and global progressive scene Marcelo continues to be one of his country’s most recognized DJs. Now presenting his first new music since appearing on Nick Warren’s Hope Recordings in August of last year, Marcelo puts his own unique twist on ‘Rest In Heaven’. The atmospheric themes are well conveyed but surrounded by a much heavier, percussive framework that’s nicely tailored for the dance floor. Marcelo’s keen sense of club dynamics shows during the main break with a dramatic build and huge drop which could give new meaning to the word cosmic. A massive remix from Marcelo which rounds out another top notch offering from Lonya’s Asymmetric Recordings. Don’t miss it.